Money Talks: Which Free Agent Tight Ends Are Poised for Big Roles? Free-agency movement can be a blessing or a curse. This is true for NFL players and fantasy investors alike. Sometimes, a change of scenery is all a talented player needs to take his game to the next level; other times, we find out just how difficult it can be to transition to new schemes and different teammates. Kirk Cousins and Jimmy Garoppolo signed massive contracts to become franchise quarterbacks of their respective teams, but future roles of free agent skill-position additions aren’t usually as clear-cut. Let’s break down some of this offseason’s top free-agent contracts for tight ends and attempt to decipher what their role and fantasy impact might be. Read my pieces on wide receivers here and running backs here. Burton started just five games in four seasons in Philly while working behind Zach Ertz. That didn’t stop the Bears from making the 26-year-old one of just seven tight ends to earn at least $8 million per season. Burton’s $22 million in practical guarantees is equaled or surpassed only by Jordan Reed and Charles Clay. The Bears didn’t pay Burton to sit on the bench, but he still carries plenty of uncertainty in their revamped offense. Talented second-year tight end Adam Shaheen could limit Burton’s snaps as an in-line player, and QB Mitchell Trubisky‘s ceiling, as well as the pecking order at receiver, has yet to be determined. 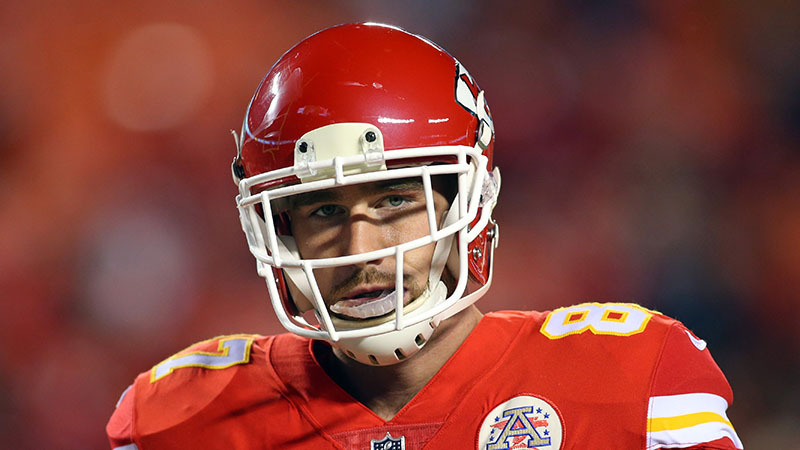 The good news is new head coach Matt Nagy has already anointed Burton as the offense’s ‘U,’ which yielded an average of 114 targets per season for Travis Kelce from 2015-2017. This should mesh well with Burton’s skill set, as he played 63% of his snaps in either the slot, out wide or in the backfield last season. The sample size is undoubtedly small, but Burton has balled out in his few chances as the Eagles’ featured tight end. Graham is presently the league’s only tight end making eight digits per season, and he’ll be counted on to be a key part of the passing game for at least the next two years before the Packers can move on from his contract. The Packers have effectively replaced Jordy Nelson, the league’s No. 3 receiver in red-zone targets over the past two seasons, with Graham, the league’s No. 2 receiver in red-zone targets. They seemingly moved on from Nelson thinking he was #washed, but a closer look at Graham’s 2017 campaign seems to indicate a similar type of receiving threat. Overall, Graham posted below-average game speed after traveling just 20 yards in 2017 (AirYards.com), while posting the same average separation as notorious dad-runner Jason Witten (Next-Gen Stats). Graham averaged fewer than 1.7 yards per route run for the first time in his career. Still, Graham finished the year as the overall PPR TE6 thanks in large part to a position-high 10 touchdowns. If he was going to continue to compensate for his lack of ability to rack up yards (zero games with 60-plus yards after Week 4) with pure touchdown equity, the Packers would probably be his best bet. Aaron Rodgers has finished among the league’s top-10 quarterbacks in red-zone touchdowns in each of his eight seasons with at least 15 starts. Brate is the perfect example of why it’s important to dig into a contract’s details. The Buccaneers owe him $7 million in 2018 but can then release him without incurring any additional cap penalty. The fifth-year tight end has established a productive rapport with Jameis Winston, as Brate joins Graham and Kyle Rudolph as the only tight ends with at least 500 yards and six touchdowns in each of the past two seasons. It’s also feasible the team can create a system in which Brate can co-exist with 2017 first-round pick O.J. Howard: Brate ran just 42% of his snaps as an in-line tight end in 2017 compared to 80% for Howard. 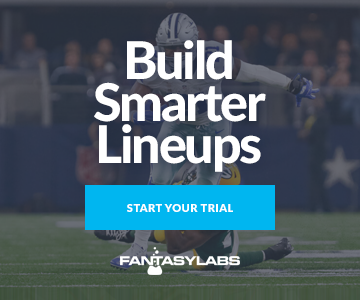 Still, predicting which tight end will produce in any given week will be difficult – except when you can fade Brate and his Harvard #NarrativeStreet connection with backup quarterback Ryan Fitzpatrick. The Colts can move on from Ebron after just one season, but the early returns out of camp suggest he could be a larger part of the team’s plans than his contract may indicate. Head coach Frank Reich has called Ebron smart, elite and a perfect fit with Andrew Luck. The tight end’s status as a glorified slot receiver should also allow him to play alongside incumbent starter Jack Doyle. Luck and the Colts threw the fourth-most touchdown passes in the league to tight ends from 2012-2016, and the QB even fed multiple tight ends in Coby Fleener and Dwayne Allen eight touchdowns a piece as recently as 2014. Still, Ebron will have to improve his hands, as he’s one of just five tight ends to drop at least 20 passes since entering the league in 2014. The Seahawks handed Dickson only $3.6 million in guaranteed money, so they could move on sooner rather than later depending on the status of a groin injury that has landed him on the IR/Non-Football injury list. If Dickson can get right by Week 1, he has an opportunity to take over Graham’s starting job in an offense that could potentially be without No. 1 receiver Doug Baldwin (knee). Dickson averaged 7.6 PPR points per game with an average 2.8/41.6/0.1 line in nine games without Greg Olsen since 2014, and Russell Wilson is fresh off feeding his starting tight end a league-high 26 red-zone targets. Green’s modest contract places him outside of the league’s top-30 highest-paid tight ends, but Hunter Henry‘s torn ACL has elevated Green to TE1 status for the time being. Green’s SPARQ-x score ranks in the 92nd percentile of tight ends (PlayerProfiler), but he has never gained more than 250 yards or scored multiple touchdowns during his seven seasons in Denver, and he finished last season as Pro Football Focus’ 59th-ranked run-blocking tight end among 72 qualifiers. The Chargers haven’t yet re-signed Antonio Gates, but it seems likely that a deal gets done eventually. Gates’ presence would lower every other receiver’s red-zone touchdown equity, but it’s more than fair to question just how much the future Hall of Famer has left in the tank at this point in his career. The Browns can move on from Fells after just one season without much of an issue, but he could wind up with an enhanced role if Seth DeValve‘s training camp quad injury turns out to be something serious. Fells was hardly utilized as a receiver during his time with the Cardinals and isn’t a superior option to electric second-year tight end David Njoku. Still, DeValve (50%) actually played on a higher percentage snaps at tight end than Njoku (47%) and third-stringer Randall Telfer (28%) was involved as well in 2017. Tyrod Taylor often featured Clay in Buffalo, feeding him at least 74 targets per season from 2015-2017, but offensive production probably won’t be too robust for an offense that hasn’t scored 30-plus points in a league-high 43 consecutive games. ASJ has managed to get his life back together and turned in a more-than-respectable season-long 50-357-3 line in 2017. The Jaguars rewarded him with $4.5 million in guaranteed salary on what amounts to a middling one-year contract. While Seferian-Jenkins demonstrated some of the same ability that helped make him a second-round pick in 2014, he also posted below-average game speed for the position, and his average of 7.1 yards per reception was 3.4 yards worse than his previous career-low. ASJ is a massive 6-foot-5 and 262-pound target that is capable of balling out with departed starter Marcedes Lewis’ team-high 10 red-zone targets, but we probably shouldn’t overvalue his ceiling considering he ranked outside of the top-50 tight ends in yards per route run last season. The Lions signed Willson to a small deal to replace Ebron, who never lived up to his status as the 10th pick of the 2014 draft. Ebron’s spot could feasibly be filled by talented second-year receiver Kenny Golladay, although Willson is poised to work as the starting tight end regardless. It doesn’t seem likely the Lions will feature him, but offensive coordinator Jim Bob Cooter did utilize three WRs, one RB and one TE on 74% of the offense’s snaps last season – the second-highest mark in the league. Considering their respective pedigrees, it’s surprising to see Willson is by most accounts a superior athlete to Ebron, and he should at least provide a serviceable threat down the seams for Matthew Stafford. Eifert’s robust injury history includes back surgery, a concussion and tears to his knee, labrum and ankle. Accordingly, his one-year deal with the Bengals doesn’t reflect his true value when healthy, and just $3 million is guaranteed. The former first-round tight end has missed a total of 41 games since entering the league in 2013 but has managed to score 18 touchdowns in his last 23 games. Eifert passed his pre-training camp physical and has returned to practice, and he’s even publicly stating he’s “100%” certain he’ll be ready for the team’s Week 1 matchup against the Colts. Per our NFL Trends tool, Eifert ranks among the league’s top-10 tight ends in both DraftKings and FanDuel points per game, Plus/Minus, and Consistency Rating since 2014. Ben Watson: Watson posted a 74-825-6 line as the Saints’ No. 1 tight end as recently as 2015 and posted higher average game speed than former Saints starter Coby Fleener in 2017. Don’t expect him to vault to the top of Drew Brees’ pecking order, but the 37-year-old ranked 11th among all receivers in average separation last season. Richard Rodgers: The Eagles drafted Dallas Goedert to replace Burton as their No. 2 tight end behind Zach Ertz, so Rodgers will probably need more than one injury to provide any sort of fantasy impact this season. Marcedes Lewis: Lewis is presently Graham’s backup in Green Bay and most likely won’t see a relevant red-zone role without injuries.